Canned beans aren’t the only option if you’ve forgotten to or don’t have the time to soak your dried beans before using them in a recipe. 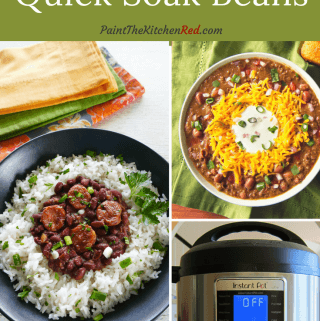 You can quick soak dried beans in the Instant Pot in less than 30 minutes. If you’ve always used canned beans for your recipes, there’s a better, healthier way! Use your Instant Pot to cook your dried beans from scratch and you can avoid the sodium and preservatives that come with canned beans. Most recipes that use dried beans recommend soaking beans overnight. If you’re like me then it’s possible that you’re not organized enough to soak your dried beans ahead of time. This is where the Instant Pot pressure cooker comes in so handy. 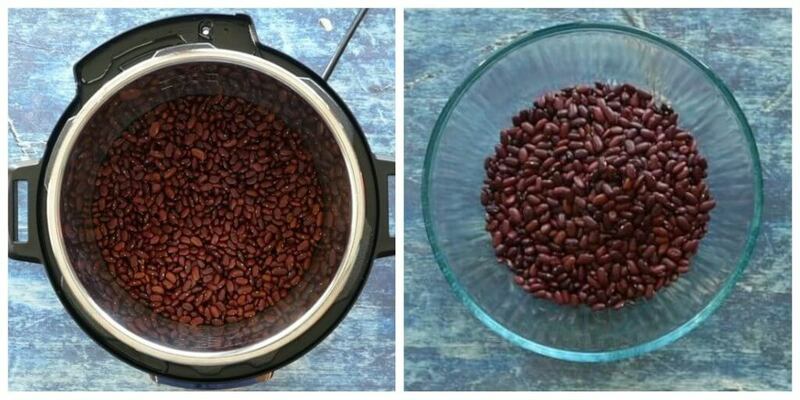 You can quick soak dried beans easily in half an hour. 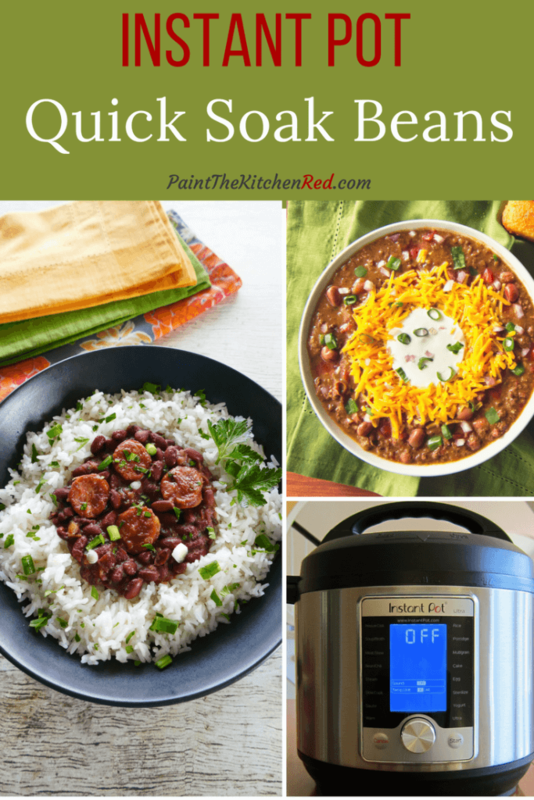 Put the beans in the Instant Pot and add water that’s 1-inch above the level of the beans. Press ‘Manual’ (or ‘Pressure Cook’) and ‘+’ or ‘-‘ until display reads ‘5′ (5 minutes). Allow the pressure to release naturally (NPR). The float valve will be in the down position. This may take 15 to 20 minutes. Drain the beans and use in any recipe that calls for soaked beans. Pressure cook for 5 minutes and allow for a natural pressure release (NPR).